We are proud to announce the biggest release ever, as a Christmas present to our supporters: Over the last two months we have reworked major parts of canvanizer (500 commits, 270 vastly changed code files) to bring you the snappiest performance throughout the entire canvanizer 2.0, which makes working with multiple canvases and switching back and forth finally an enjoyable experience. 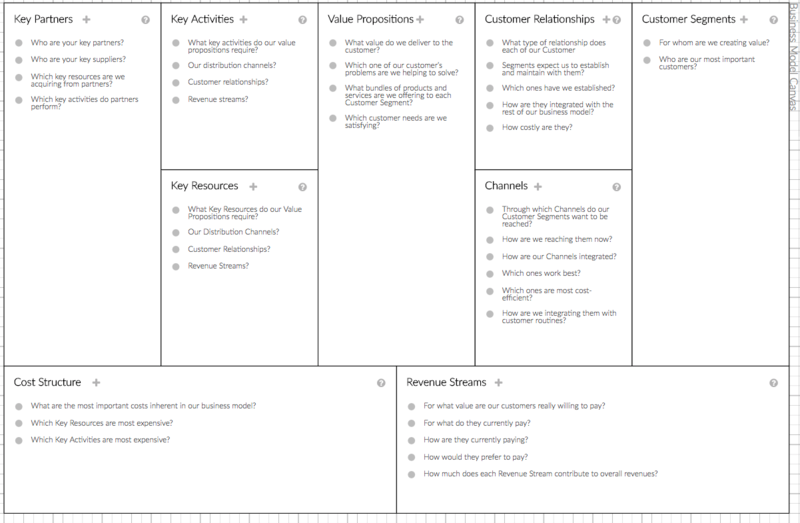 We now feature seven new languages (German, Spanish, French, Italian, Dutch, Turkish and Polish for the Basic Kanban Canvas, the Feedback Canvas, the Lean Change Canvas, the Pitch Planner Canvas, the Project Canvas and the SWOT Canvas. If we can improve the translation or you are missing one, please get in touch with us! 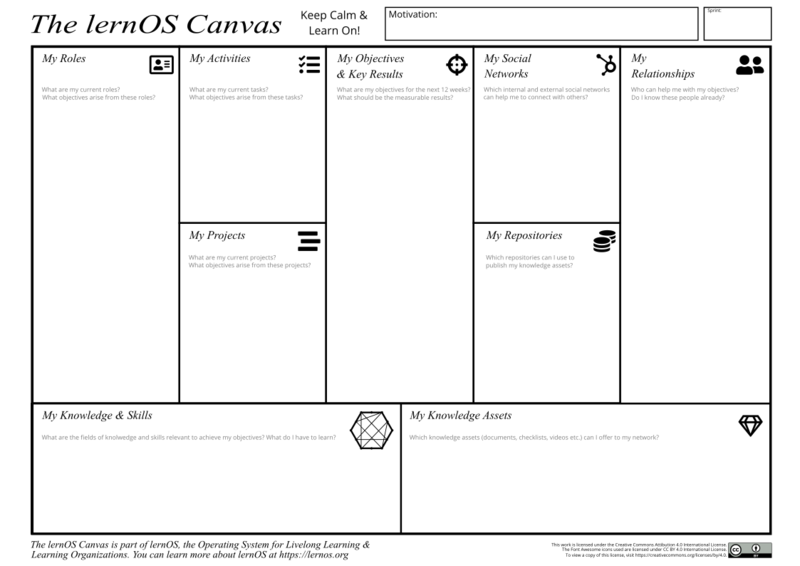 Last but not least, there are also two new templates added: The Social Lean Canvas and the lernOS canvas for those of you who are Working Out Loud! 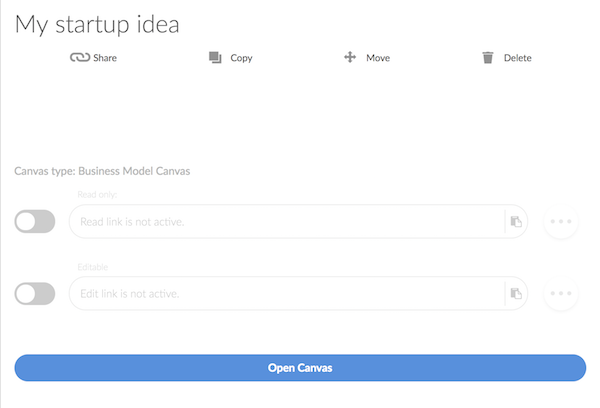 In case you did not switch off unneeded share links of old canvases since my last update, you can do this easily in the canvas settings: Please login into the 2.0 at https://next.canvanizer.com/login and then simply toggle your canvas share links off – meaning only invited team members in the workspace can access the canvases. This way you can also revoke access of previously shared canvases, as toggling will generate a new share link. The lernOS Canvas is available in Canvanizer 2.0, you can also checkout the demo here and select it from the template list after clicking + in the left sidebar. We have improved the permission system in the 2.0 in regards of the access to each canvas through the share links. Remember, each canvas has two share links, one link that allows editing and another that allows read-only access only. To do this: Please login into the 2.0 at https://next.canvanizer.com/login, go to the canvas in the workspace view and then simply toggle your canvas share links off – meaning only invited team members in the workspace can still access the canvas. This way you can also now revoke access through previously shared links with temporary team members, as toggling will generate a new share link each time. This system works totally independent from the workspace memberships. So invite your permanent team into the workspaces and they have immediate access to all the canvases you create within and share links with temporary collaborators e.g. for feedback. As you might know, we focussed a lot on fine-tuning the actual canvas editing view. We removed unnecessary clicks here and there, streamlined the dialog windows and in general added a lot of flexibility such as zooming and filtering, helping you adjust the view perfectly on the amount of data in your canvas. We are very happy to announce a completely new feature to Canvanizer 2.0. Today we are opening up a new set of possibilities. We are introducing the “clipboard sidebar” on the right side of the canvas view – to enable you to copy or move notes easily between canvases. We found a new manufacturer of our endless supply of sticky notes. We are making working with many canvases even easier: Welcome keyboard navigation between canvases!